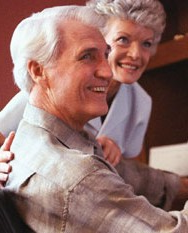 Located in Upper Arlington, Ohio, the Upper Arlington Commission on Aging specializes in offering senior services, including a free telephone check-in service for local residents. Our telephone check-in service, Kind Call, is designed to help individuals who live alone or who are primary caregivers for a family member. This simple-to-use system ensures that residents are safe and provides peace of mind for family members of aging adults. In addition to providing our telephone check-in service, we also offer a directory for local resources. Our local directory includes information for a variety of local programs and resources and is offered free of charge. At Upper Arlington Commission on Aging, we are glad to offer helpful services to local residents and strive to make your life easy and stress-free. Kind Call is a simple system to use. For your convenience, calls may be tailored for your individual wants and needs, which may include multiple calls in a day or calls only on certain days of the week. Each day at a time designated by the member, a phone call is placed to the home via a computer at the Municipal Services Center. The member simply picks up the phone, listens to the message, and presses "9" if everything is okay. If the member does not answer the phone, the computer will call back several times within a half-hour. If there is still no response, a member designated "key holder" will be contacted to check on the member's well-being. In the event that a key holder cannot be reached, then the Upper Arlington safety forces will be notified to check on the member. telephone check-in service or to receive your free local directory.